As the trading month gets underway, the focus for much of it will be on the USA. Black Friday, the big day for retailers, is coming up and markets react positively to a even better forecast of sales and profits. 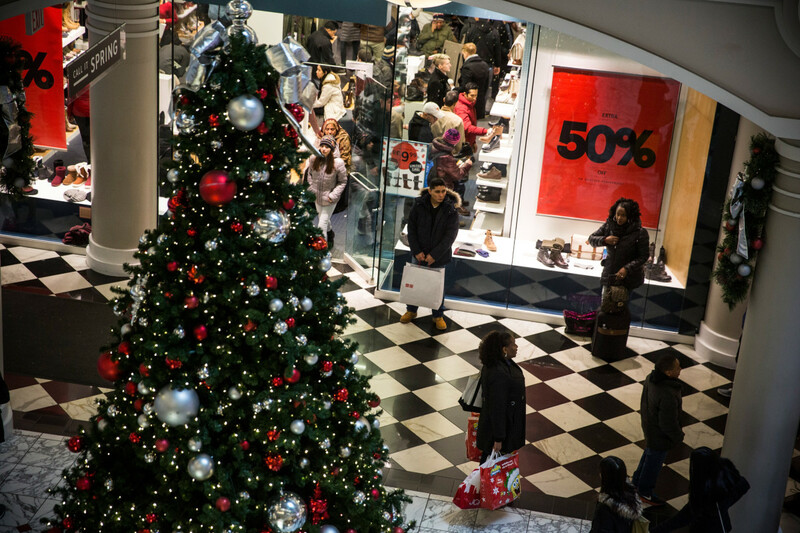 It kicks off the holiday shopping season, where around the 30% of the annual retail sales are made. 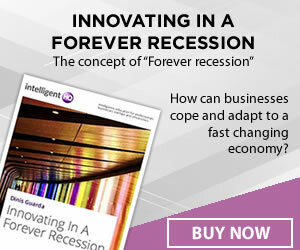 This year, is expected that these sales go up for at least a 4.1 per cent to a total spend of $717.5 billion in total. A crucial time for the industry and the economy. Coming also from the US, it was also well received for the markets the news from the US central bank, the Federal Reserve, as no changes to interest rates are expected this month whatsoever – but last Friday’s strong employment numbers (250,000 jobs added in October, versus the 200,000 the market was expecting) have raised expectations of another move higher in the US base rate in December. And of course, there was the mid-term elections in the US. On November 6, Tuesday, American voters went to the polls for the US mid-term elections. No big surprises were expected here – but given the actions of voters over the last couple of years versus what the opinion polls were expecting, there was always the potential for some adverse market reaction. The result gave the control of the Congress back to the Democrats while the Senate remained in Republican hands. This somehow affected global stock markets uncertainty. The past week saw global stock markets regain some of the losses made during October – although Friday saw a weaker performance after those strong job numbers. Nevertheless investors do seem a little more confident going into this week, so further recovery for shares seems likely. Once again the weekend press in the UK had finally seen a Brexit deal on the horizon. The Prime Minister herself, Theresa May, announced it last Wednesday followed by a tumultuous weekend, when some conservative rebels instigated a no-confidence vote in the parliament. For now it seems burnt-out and the PM keeps standing on its boots. On the economic spectrum, however, markets received the draft of agreement better than their political counterparts and so the pound had a better week as a deal for the financial services industry post-Brexit was closed. 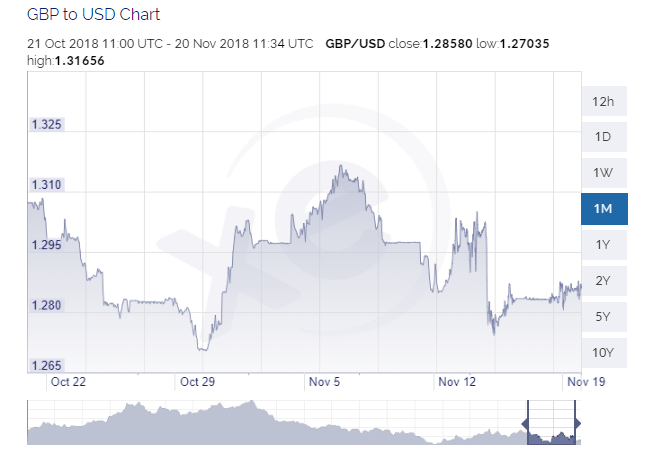 It has started this week strong again with GBP/USD trading above the 1.2800 level – although it remains a market more driven by political developments rather than the financial health or otherwise of UK plc. This month also saw the start of US sanctions against Iran. Despite the potential threat to oil supplies, crude oil has been in decline for the past month with US crude sliding from near $77 to as low as $63 last week. This is a six month low for the oil price and so far at least the threat of those sanctions does not appear to be changing the negative sentiment. At $63 a barrel oil is still 50% more expensive than it was in June 2017, so perhaps there is a feeling among investors that the price had got somewhat ahead of itself this year, regardless of US action against Iran. Comments provided by David Jones, Chief Market Strategist at Capital, an insurgent fintech on a mission to make the world of finance more engaging, accessible and useful. With an award-winning financial trading platform, available on web and app, it uses patent-pending technologies to revolutionise the trading world.